In this dark comedy of manners, the action of LAST WEEKEND unfolds over the course of a long Labor Day weekend at the end of the summer at Lake Tahoe, California.  Matriarch Celia Green (Patricia Clarkson) is at a crossroads. She and her husband, Malcolm (Chris Mulkey), are the founders of a fitness empire and among San Francisco’s wealthiest citizens. They have been coming to Lake Tahoe for more than thirty years, and yet Celia now feels that something in her life is missing.